I visited eBay and guitarcenter.com today to take a look at the prices for used Digitech RPs. The only harp-friendly RPs still in production include the RP500, 1000, and 360/360XP…. I visited eBay and guitarcenter.com today to take a look at the prices for used Digitech RPs. The only harp-friendly RPs still in production include the RP500, 1000, and 360/360XP. But plenty of used RP150/155/250/255/350/355s are out there in good-to-great condition, sounding every bit as good as the day they left the factory, with years of performance-ready life in them in most cases. Those used devices are a great resource for cost-conscious players who want to augment their rigs or build a new one. 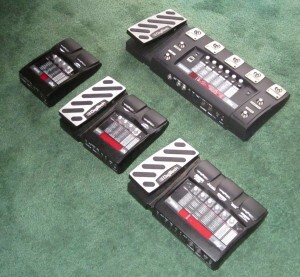 At this point used prices for used Digitech RP150/155s on guitarcenter.com are in the neighborhood of $40-50. Interestingly, RP255s, which have a much bigger display, more amp, cabinet, and FX models than the 155, and an expression pedal to boot are selling within that price range, meaning that until prices drop some more there’s little reason to economize by buying a 150/155 instead of a 255. The expression pedal alone makes the RP255 a much more desirable device if you anticipate ever needing a volume pedal, want to use the rotating speaker model in the RP to emulate an organ, or want to put the level of an effect like a pitch shift or delay under foot control. The extra amp models include some Fender types that are highly prized by harp players, with cabinet models to match. RP350/355s are selling in the range of $80 now, and the extra $30 or so is not a lot to pay for the amp, cab, and FX models in those devices. These include some great amp models like the Digitech BlackBass–a combination of a modeled Blackface Deluxe Reverb preamp with a Bassman amplifier section–and killer FX like the FX25 envelope filter, which works very well with harmonica. They also offer more slots for customized sounds than the lower-end devices, and that can be very useful when you’re laying out patches for a set. It’s surprising to me that prices for used RP500s are now as low as $90, and in most cases not higher than $130. This device is by far my favorite RP, with a fantastic set of performance features that include dedicated on/off footswitches for compression, distortion, mod FX, reverb, and delay, plus a footswitch for setting delay time via tap tempo, plus even more killer amp models, including the made-for-blues Gibson GA40 amp and cab models. Unless space onstage or in your backpack is at a premium, at $100 this is the one I’d go for every time. It’s also surprising to see that prices for used AND new RP360/360XPs have dropped substantially. New RP360XPs–the one with the expression pedal, and therefore the one I strongly recommend–are down to around $160, and used ones are going at around $100-125. 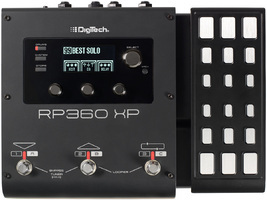 This pedal sounds every bit as good and better as the RP500/1000, but the Nexus software Digitech supplies for creating, saving, and loading patches is greatly inferior to the Xedit application that ships with its closest competitor, the RP500. (To some extent this is offset by the ease of programming the 360XP from its front panel.) Further, the 500’s dedicated footswitches make setup and performance much easier than the RP360XP, where you have to program (and remember) which switches turn which FX on and off for every patch you create. That said, the sound of this device is indeed topnotch, and it offers flexibility that the 500 and 1000 don’t in that you can lay out a patch with one (but only one) of any kind of effect the device offers in any order you like. (All the other RPs have a fixed position in the signal chain for each type of effect, and you can’t change the order of FX in the chain.) If you want all the various amp and FX models in the R500/1000 in a smaller package, and you don’t need all the realtime control over FX that you get on the 500, the 360XP will work very well for you. RP100s/200s/300s are selling for $20 and up too. Their amp models and FX are much more harmonica-friendly than the cheapo RPs above. However, they don’t include a USB interface to your computer, so you can’t use them as an audio interface for recording to your computer. (Every RP from the 150 on up has one of those, and it’s a perfectly usable audio interface for recording harmonica parts in particular.) The lack of a USB interface also means you can’t use your computer to program, back up, and restore the device. Finally, like the other cheapos, they’re based on an older chip, so they don’t have the sound quality of the RP150 and up. That said, if someone offers you an RP200 for a price you can’t refuse, we sell a patch set for it (on paper–you’ll have to enter the data by hand). We wouldn’t bother with an RP100 even if we were paid to take it. 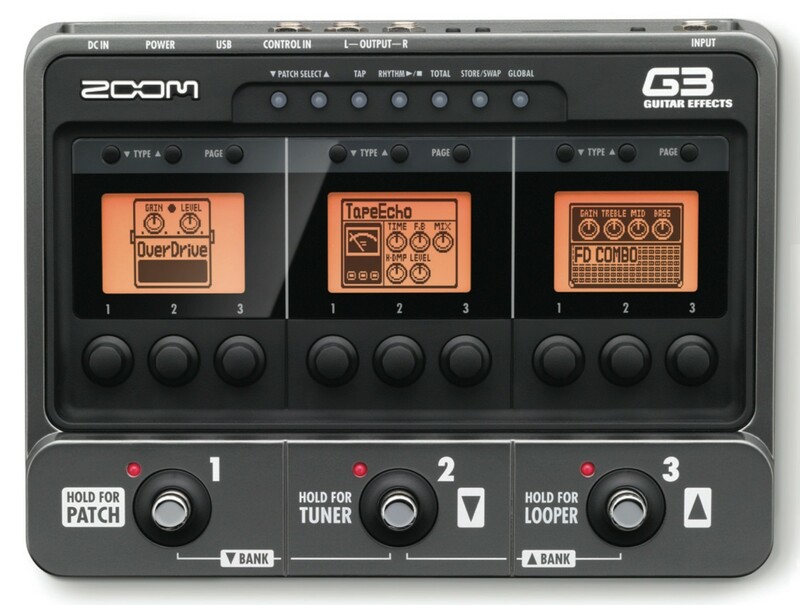 In any case, we’re thinking about doing a patch set for the G3N, but don’t let that stop you if find a G3 in good condition for a good price. In the meantime, check out our latest record “The Lucky One,” all harmonica tones recorded with the Digitech RP500.